As they grow older, many elderly adults become much less active. Age-related health issues such as illness, injury, disease, and the overall aging process can prevent them from engaging in exercise like they should. In many cases, their motivation to exercise is low or they must depend on family caregivers and elderly care providers for help and don’t consider exercise in their daily routine. However, it’s never too late to start exercising, and many seniors are turning to senior dance classes. Not only are senior dance classes an excellent motivation to exercise, they are a lot of fun. The health benefits are numerous, too. 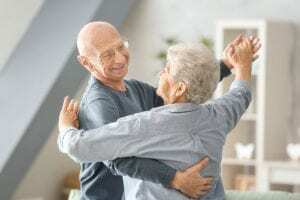 Family caregivers and elderly care providers should make it a priority to get the aging adult to the local senior dance class, for their physical and mental health. Here are some frequently asked questions concerning senior dance classes that family caregivers may find interesting. Q: What exactly are senior dance classes? A: Senior dance classes are specially designed courses that bring popular dance genres and adapt them so aging adults of all abilities can participate. They cover a range of styles, such as salsa, ballroom, country western line dances, barre ballet, and even Zumba. 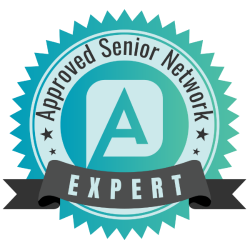 Instructors know the best ways to get seniors to participate without jeopardizing health and wellness. Q: Can dance classes for seniors be good exercise? A: Not only are senior dance classes a great workout, they are fun, too. Dance is an aerobic exercise, which improves muscle strength, cardiovascular health, and flexibility. Seniors also benefit from improved digestion, circulation, and stamina. Studies show that mild to moderate exercise in elderly adults can also lead to better pain management, improved coordination, more restful sleep, weight control, and faster reflexes. Q: How do senior dance classes affect mental health? A: Because of the social nature of dancing, a senior benefits greatly by participating. Elderly adults are often too isolated or lonely for their own good, even if they have family caregivers and elderly care providers. Senior dance classes are ideal for socializing as aging adults meet new people, laugh, and engage with people their own age from the community. Socialization can reduce the risk of depression and anxiety in aging adults. Q: What obstacles prevent elderly adults from attending senior dance classes? A: The most common obstacles are physical challenges that they may feel would prevent them from participating. The truth is that senior dance classes are for everyone, regardless of ability. Many senior dance classes accommodate for canes, walkers, and wheelchairs, giving people of all abilities the chance to participate and have fun. Q: Where are senior dance classes offered? A: Family caregivers and elderly care providers will have to find senior dance classes in their community. Common venues are senior citizen centers, dance studios, community fitness centers and more. As the growing demand for senior dance classes sweeps the country, it should be easier than ever to locate them and get elderly adults enrolled.